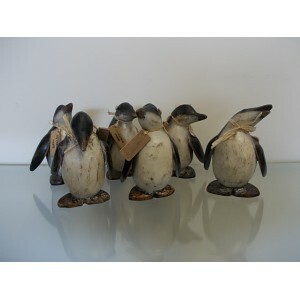 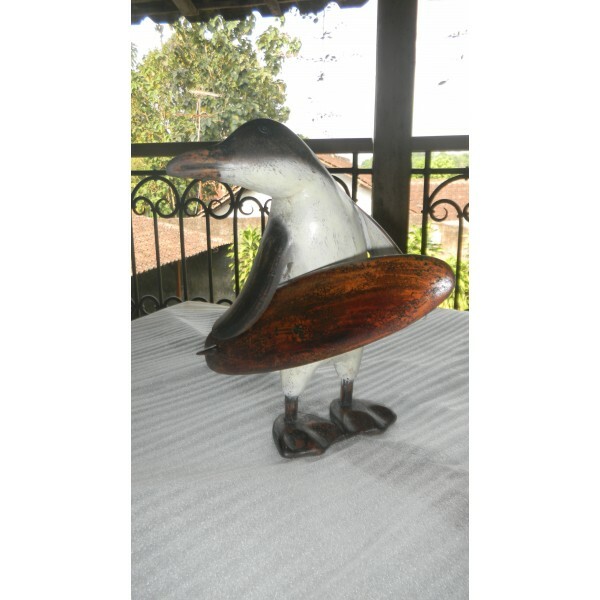 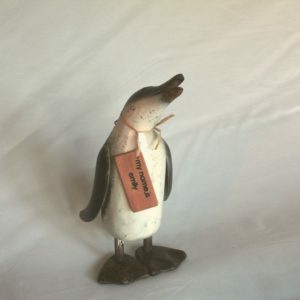 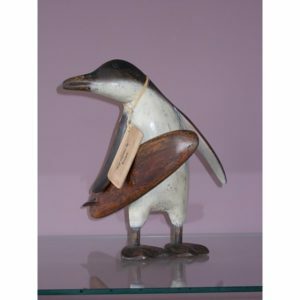 Hand carved wooden penguin with name tag. Adult Surfing Penguin. 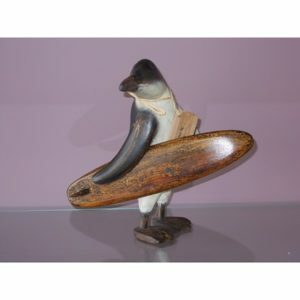 Hand carved wooden penguin with name tag.